It’s clear that Final Fantasy 6 wanted to be different. The dichotomy between industrial society and the natural world is clear from the outset and remains a persistent theme throughout the game’s narrative. Despair and hopelessness constantly attempt to upheave that which humans have built for centuries, at times succeeding in their desire to reduce what little meaning the species has carved out for itself. 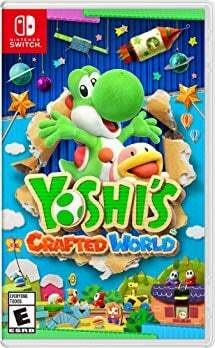 To top it off, each one of the title’s 14 protagonists struggles to find themselves as empires vie for power and a malicious entity capitalizes on the chaos. Given how influential it was, now is a great opportunity to look back at some of the RPG’s most iconic moments before it celebrates its 25th anniversary on April 2. Be warned that this article is rife with spoilers. Early on in the title, the main cast of Final Fantasy 6 is tasked with securing an airship. They devise a plan that allows them to sneak aboard a famous gambler’s vessel, so long as Celes manages to pose as a performer named Maria. While the simplified musical notes blaring from one’s television screen aren’t sophisticated, it’s hard not to notice each melody’s lyrical allegories. This is particularly evident in Celes’ lines, as she harps on themes of love and longing despite once being a soulless weapon of the Empire. The opera house marks a pivotal change in the protagonist’s development, as it’s here where she learns what it means to express emotion and be human. Final Fantasy 6‘s writer, Yoshinori Kitase, wanted to highlight Kefka’s sinister personality when the clown is introduced outside of Figaro Castle. Within a 30-second window, the villain complains about the emperor’s nonsensical orders, curses Edgar Figaro for building his headquarters in the desert, and orders his guards to clean sand off his boots. 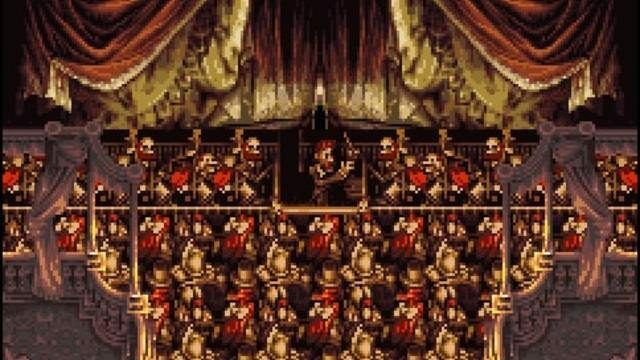 Kefka proceeds to laugh and call his soldiers “pathetic” after they obey his commands, which exemplifies how much a tyrant he would be if given more power. That’s not to say that he isn’t a formidable force already at this point, as he sets fire to Figaro Castle and topples it to the ground after he learns that Terra isn’t there. The phantom train segment in Final Fantasy 6 presents both a fun diversion from standard battles and some closure to Cyan’s tragic story. 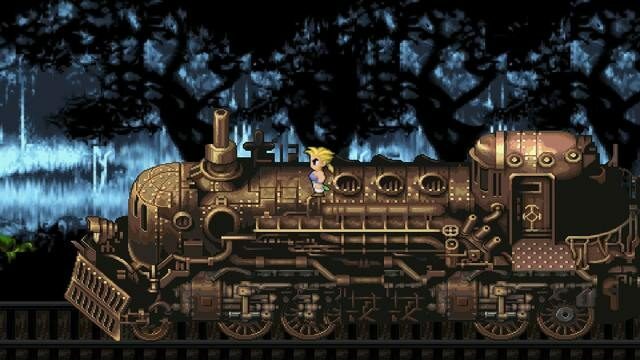 The samurai and his friends, Sabin and Shadow, accidentally board the locomotive as they are navigating their way through the Phantom Forest. When the ragtag group of adventurers climb to the engine, they find that the train is sentient and wishes to fight them. The subsequent battle is a frantic, high-energy thrill ride that’s hard to come by in other Final Fantasy titles and RPGs in general. The boss eventually succumbs to the party’s strength and agrees to let them off at the next stop. However, just before Cyan departs, he witnesses his deceased wife and son climb aboard. He begs them to wait, and they respond “Please don’t forget me” and “I’ll make sure Mom’s alright!” Cyan crumbles in anguish as he watches the phantom train whisk his loved ones off to the afterlife. As if Kefka’s evil nature wasn’t apparent during his introduction, he showcases his complete disregard for humanity again through his annihilation of Doma. 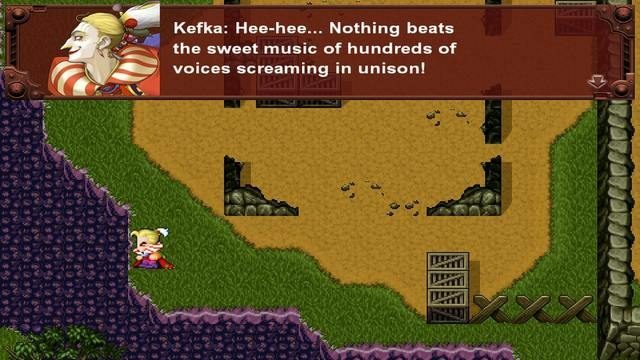 Kefka is given command of the outpost when its ruler, General Leo, is summoned by Emperor Gestahl. Shortly after Leo departs, the jester orders his soldiers to dump poison into a nearby river. He joins in on the initiative, claiming that there is nothing better than “music composed of hundreds of voices screaming in unison.” The poison nearly kills Doma’s entire population, including Cyan’s wife and son. Only Cyan himself and a sentry survive. The former becomes a solemn warrior afterword, vowing to avenge his family’s death even if it means sacrificing his own life. 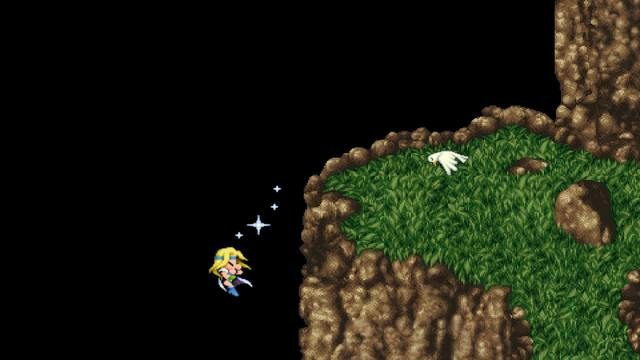 One of Final Fantasy 6‘s most enduring themes is hope. After Kefka triggers the apocalypse, Celes becomes unconscious for a year. 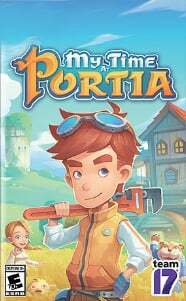 She wakes up on an isolated island with no one but herself and an old man named Cid. When Cid becomes ill, players are tasked with catching fish in order to nurse him back to good health. While there is a way to sort healthy fish from poisonous ones, it’s likely that fans won’t recognize the difference during their first playthrough. As a consequence, there’s a high chance that Cid will die due to lack of appropriate nutrition. Celes climbs to a nearby peak after Cid passes away. The weight of her failure is simply too much for her to bear anymore, and she tosses herself off the mountain in an attempt to end her life. The screen fades to black. Thankfully, Celes wakes up on the island’s shore and finds Locke’s bandanna washed up beside her. She interprets this as a sign that there must be other survivors out there, and returns to Cid’s home to find out that the old man built a raft for her before he died. Celes uses it to leave the island and sail into the ominous red horizon, eager to reunite with her party and defeat the menace that murdered without remorse. She clings onto hope despite nearly ending her own life, as she believes that there’s still something worth fighting for. Celes’ journey is one that’s relatable to anyone that has given up. It takes a tremendous amount of courage to believe in oneself, especially when all seems lost. After about 15 hours, players finally catch up with Kefka on the Floating Continent. They may think that they’ll be able to vanquish the clown and prevent the apocalypse from happening right then and there, but the opposite is true. Kefka eludes Terra, Locke, and Celes’ attempts to defeat him and succeeds in moving the statues that govern the world’s existence. Huge landmasses shift, mountains crumble, and countless lives are lost. Terra is nowhere to be found and Celes is left stranded on an island. 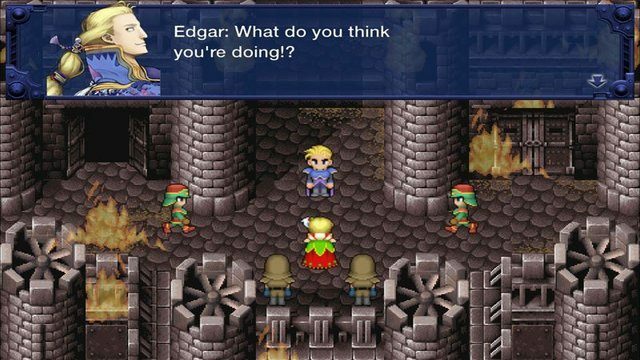 Final Fantasy 6 subverts player expectations in a way that few other games dare to explore. What’s more is that a whopping 20 more hours await them in a new world overcome by Kefka’s madness. 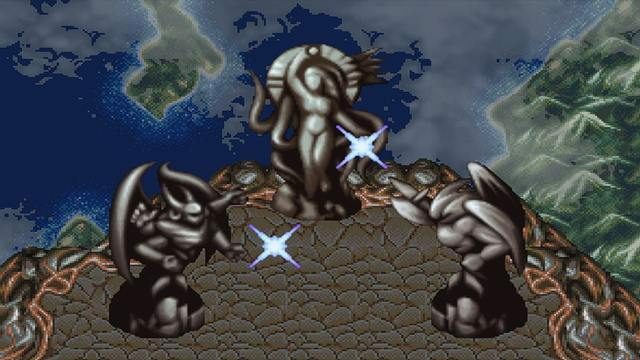 While the moments above each highlight Final Fantasy 6‘s capacity for intricate and moving storytelling, it also had a momentous impact on the RPG genre when it originally released in 1994. It pushed the Active Time Battle system of prior iterations forward and allowed players to alternate party members at any time. 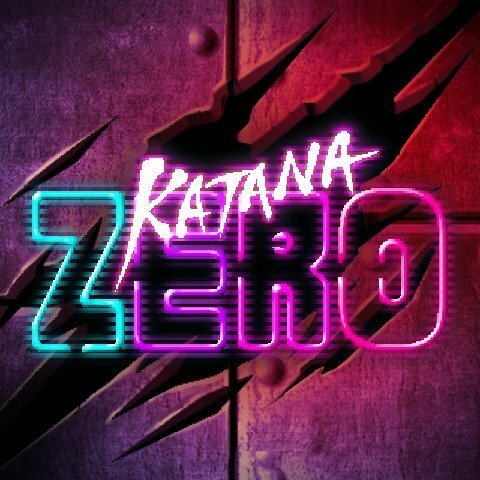 Each character possessed a unique fighting style and a specific talent, which helped individualize them outside of the game’s plot. 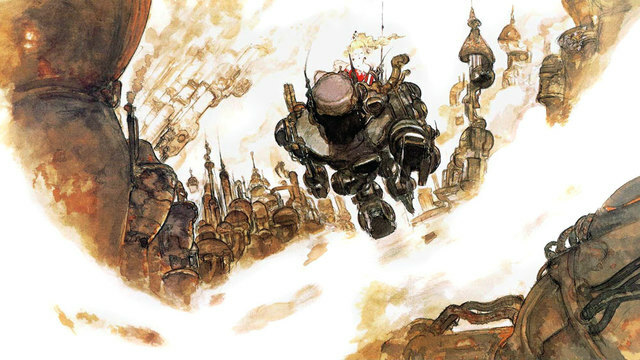 From a mechanical perspective, Final Fantasy 6 is simultaneously accessible and deep, making it a must-play for new and veteran RPG fans in 2019. With its 25th anniversary upon us, it’s a great time to discover what this imaginative and innovative world has to offer.